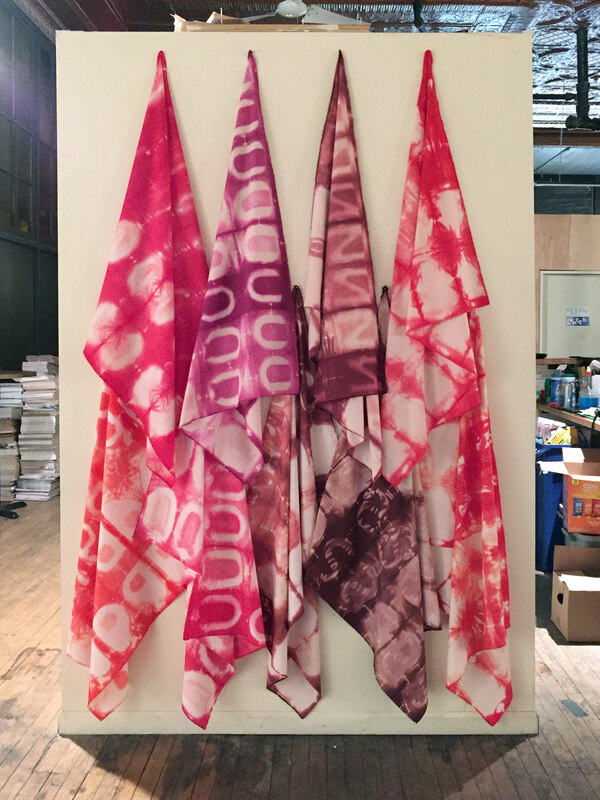 "See You Next Tuesday" consists of nine fabric panels dyed in various shades of red and pink. 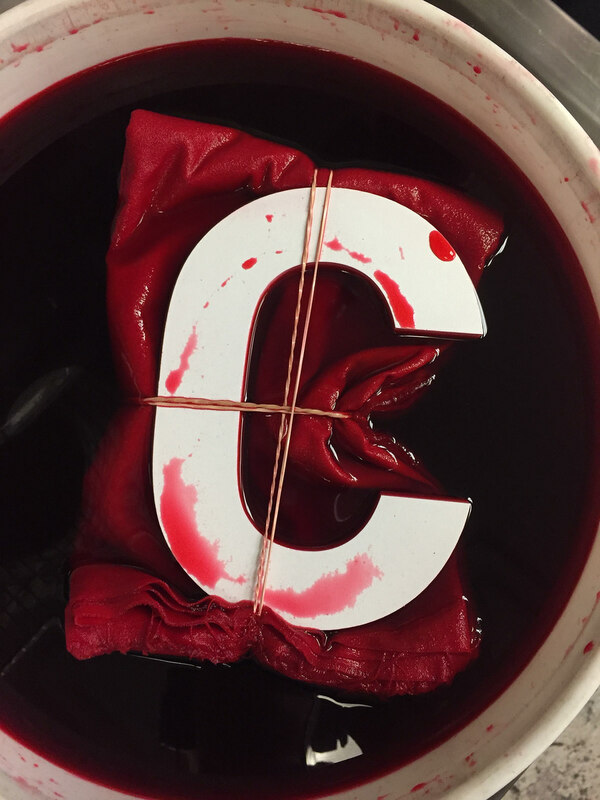 Using shibori, a Japanese shaped resist dyeing technique that involves folding, binding, and compressing the cloth, three-dimensional letters serve as the object of resistance. 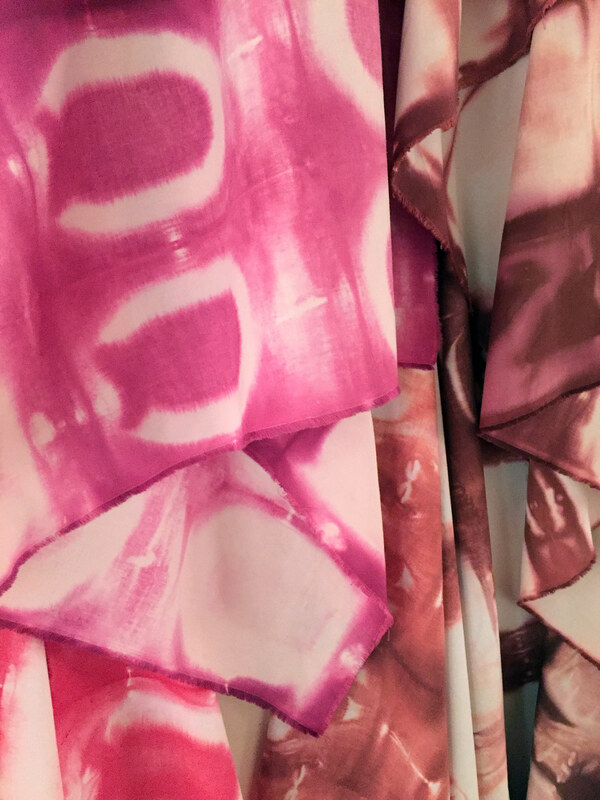 The characters block the dye from the reaching the fabric and leave a soft and obfuscating pattern. The resulting imagery is intentionally central core, a philosophy of feminist art that is used to dismantle social constructs defining gender roles and negative connotations about female anatomy. 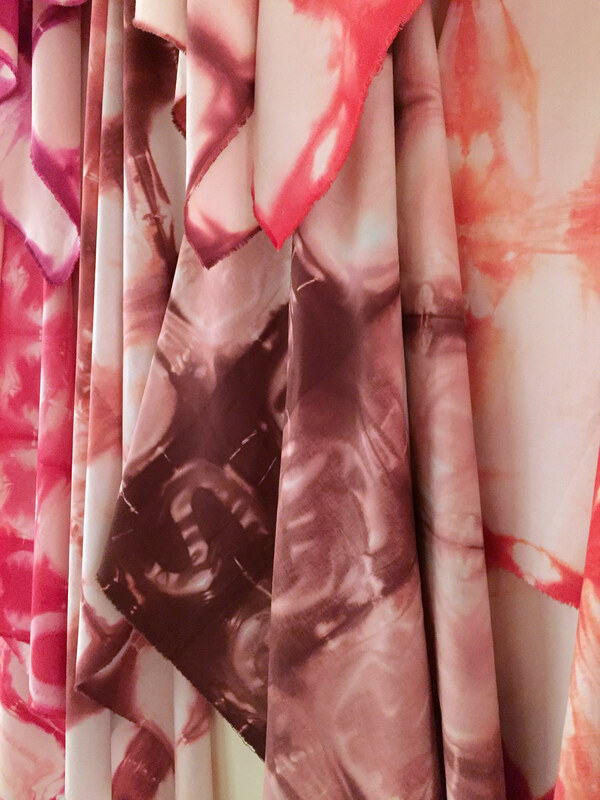 The panels are hung in a row on the wall, with a nail in each corner, allowing the textiles to drape, obscuring and exposing the overall image.